Ca' Foncello's Hospital is the main hospital of Treviso (Piazzale Ospedale,1). It was built because there was need to expand the healthcare of the old Saint Leonard's Hospital. The increase in bequests and donations to the Brotherhood of Flagellants made possible to amplify the hospital services and to restructure the original nucleus. In 1798, the architect Daniele Danieletti drew an exterior renovation of the Saint Leonard's Hospital. In the following years, the Brotherhood was dissolved and the hospital management was transferred to the public administration. In the nineteenth century various projects were presented for restructuring the complex and some of them were partially realized. During the First World War in 1915 Treviso's province has been decreed a “war zone” and the Saint Leonard's Hospital was declared establishment of the Army. 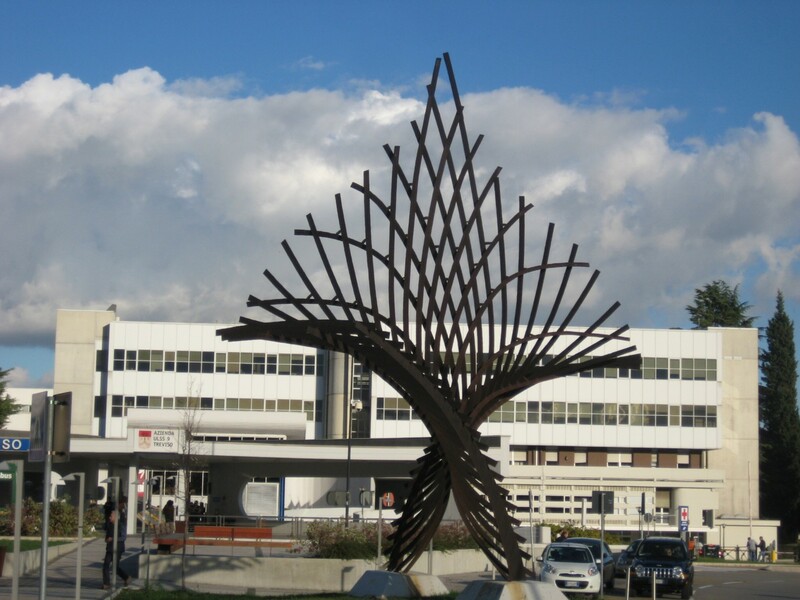 The construction of a Tuberculosis Sanatorium and of laundry facilities began in 1929 in the Ca' Foncello's area. A special committee selected this area among four different opportunities because this land was already owned by the hospital, in fact during the first decades of the '400 a woman, Amante da Monteverde, donated it to the Brotherhood of the Flagellants. 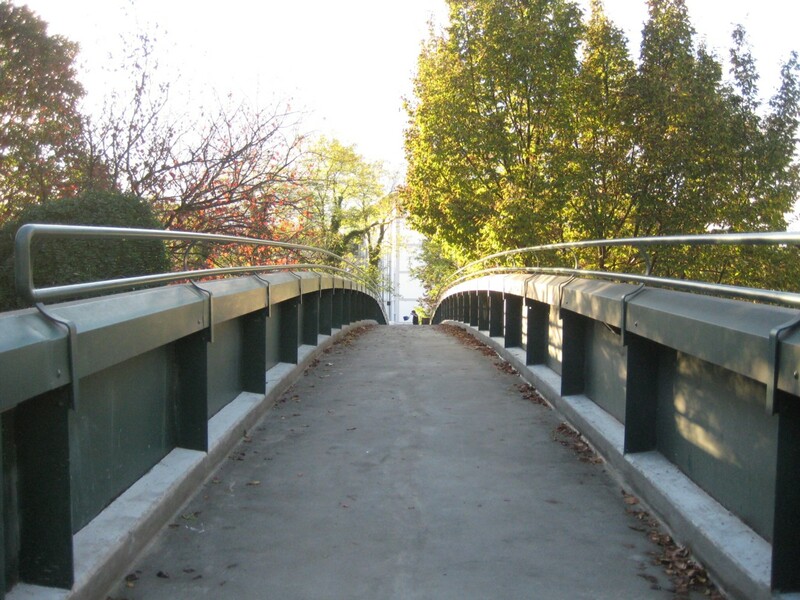 In addition the area was near the river Sile that was a useful way for transporting supplies. In 1940, the Sanatorium and laundry of Ca' Foncello were sold to the War Department that changed the complex into a Military Hospital. After the Second World War, the Saint Leonard's Hospital was in a dramatic situation: it had been damaged during the war and it had no possibility of expansion as it was located within the city. 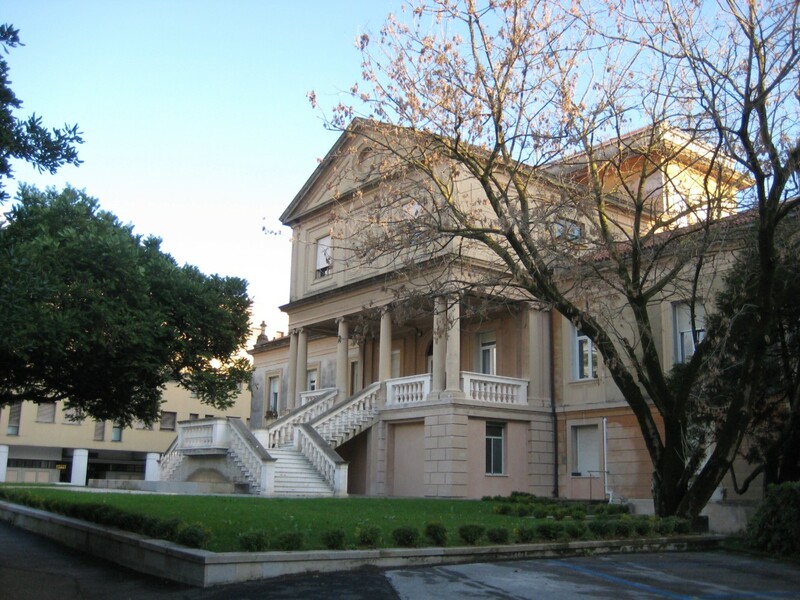 So in 1946 the Administration, urgently, proceeded to a partial transfer of Saint Leonard’s wards into the Military Hospital of Ca' Foncello, while the latter was transferred to the GIL Institute in Vittorio Veneto. In 1952 the administration “Opera Pia dell’ospedale civile di Treviso” bought Ca' Foncello’s military hospital. The current hospital has grown slowly according to health needs and to financial resources. 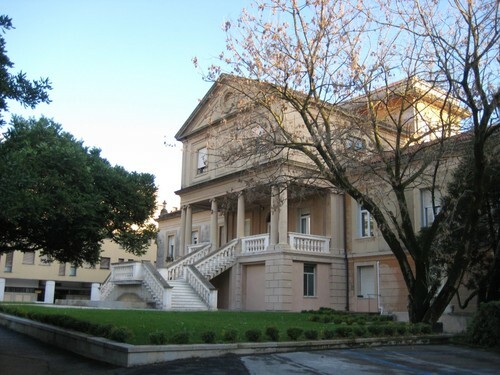 In 1970 the Hospital Ca' Foncello has been classified as a Regional General Hospital. 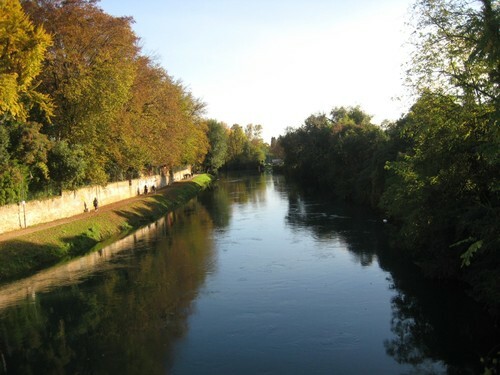 The name Ca' Foncello derives from the ancient village "Ca' Fancello" which has been donated to the hospital in 1412: it included sixteen fields, a ferry on the river Sile and a mill. The name changed from “Fancello” to “Foncello” due to a transcription mistake. Subsequently towards the middle of the eighteenth century a small church-chapel was built there. The village disappeared in the years 1960-1970. The new hospital construction necessitaded to bury the channel, the mill and the buildings. Only the church remained and today it is a place of prayer and of comfort to ill people. In 1985 it was visited by the Pope John Paul II and in 2002 it was reopened and dedicated to saint Maria Bertilla Boscardin, nun nurse. - Cagnin Giampaolo, D'Andrea David, Gasparini Danilo, Santa Maria dei Battuti di Treviso. 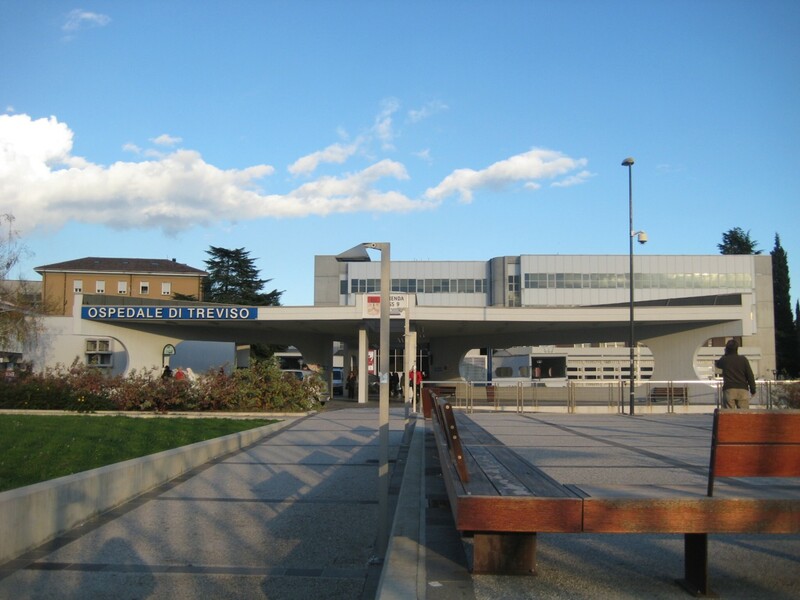 L'ospedal Grando, Terra Ferma Edizioni, Vicenza 2001, vol. 3., pp. 57-59. - KODAK editore S.p.A, “Il microfilm KODAK per le cartelle cliniche all’Ospedale di Treviso”, La storia dell’ospedale, 2008, pp. 2-6. 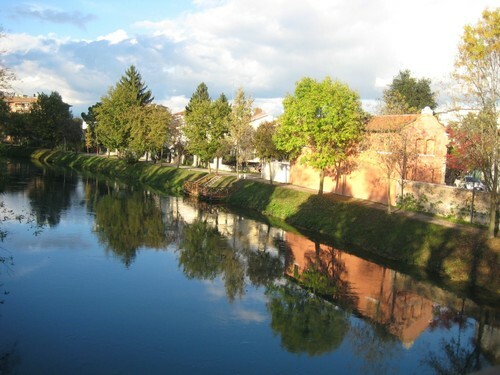 - Azienda ULSS 9 di Treviso, “La buona sanità dà buoni frutti”, Storia, 2008, vol.8, pp. 32-37. - Netto G., Santa Maria di Ca' Fancello ieri e oggi, Grafiche Vianello Treviso, Treviso 1964, vol. 3, pp.76-77.